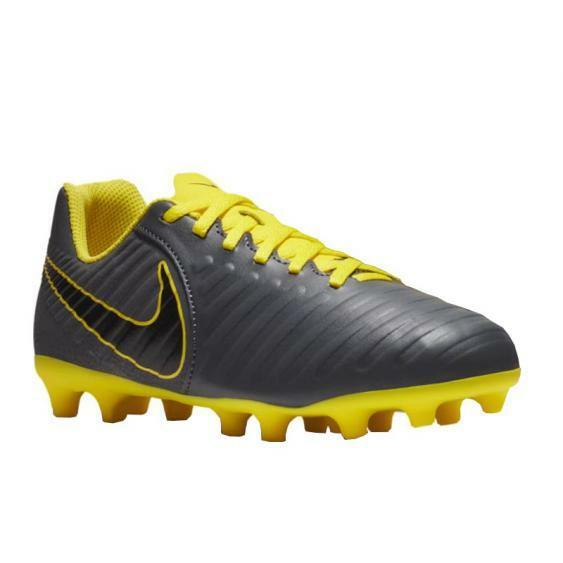 Nike Jr. Legend 7 Club (MG) Multi-Ground Football Boot combines the cushioned touch of textured synthetic leather with an accommodating fit and durable plate. It’s fit, touch and traction—evolved. Plate provides durability and stable traction on firm-ground and artificial-turf surfaces. "If you have a body, you are an athlete." When Nike co-founder Bill Bowerman made this observation many years ago, he was defining how he viewed the endless possibilities for human potential in sports. He set the tone and direction for a young company called Nike, and today those same words inspire a new generation of Nike customers.